In July 1979 an American businessman and former journalist David Harold Karr who had arranged the building of the first Western hotel in Moscow was found dead under reportedly suspicious circumstances in Paris, France. 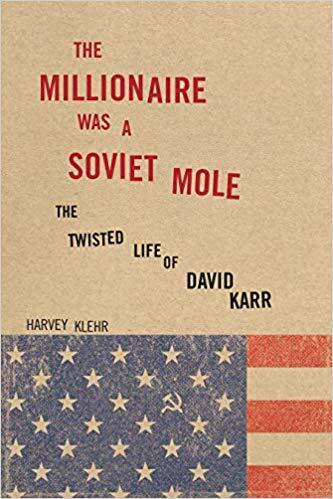 Karr’s new biography, The Millionaire Was a Soviet Mole: The Twisted Life of David Karr, by Harvey Klehr, expected to be published in July 2019, will likely provide many new details about his tumultuous life, including his work during World War II as a U.S. government censor and propagandist in the same agency that produced anti-Hitler and pro-Soviet Voice of America (VOA) radio broadcasts before it became an anti-Soviet station in the 1950s and continued in that role for the rest of the Cold War. 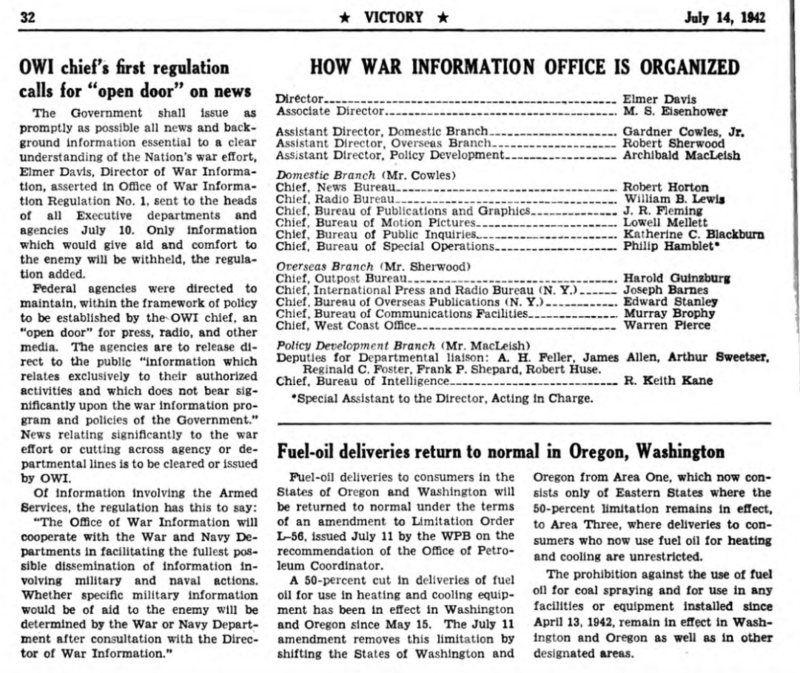 During World War II, officials in the Office of War Information (OWI) who were in charge of Voice of America and many of VOA broadcasters were pro-Soviet radicals. Karr’s work at OWI was not directly linked with VOA. He appeared to have been working on censoring ethnic American newspapers and radio stations, some of which were exposing OWI’s Soviet propaganda lies which were repeated in VOA broadcasts. At one time during the Cold War, Karr became a partner of American investor Armand Hammer who for decades arranged business deals in the Soviet Union. It was reported that thanks to his Soviet connections, Karr was granted North and South American trademark rights to Misha the Bear, the mascot of the 1980 Olympic Games which the U.S. later boycotted in protest against the Soviet invasion of Afghanistan. Very few people remember that early in his life David Karr (born David Katz) was working for the foreign language division of the Office of War Information. OWI had the Overseas Branch, which produced shortwave radio broadcasts for foreign audiences, and the Domestic Branch, which distributed U.S. government information, including pro-Soviet propaganda, to domestic media outlets in the United States. Karr’s job was to control ethnic media outlets which questioned and countered pro-Soviet disinformation. OWI officials accused them of undermining the war effort and spreading pro-German propaganda. Before his career of brokering business deals in the Soviet Union, Karr worked as an assistant to American newspaper columnist Drew Pearson and was suspected of providing him with KGB-supplied disinformation. If not a member of the Communist Party USA, during his work for the Office of War Information David Karr was definitely a pro-Soviet communist ideologue, as were many foreign language broadcasters hired by VOA’s first director, future Hollywood actor John Houseman. Karr most likely worked for another OWI official, future U.S. Senator from California Alan Cranston who initiated illegal censorship of ethnic American newspapers and radio stations to prevent them from criticizing Soviet dictator Josef Stalin. Cranston later tried to justify his actions as necessary for the war effort. 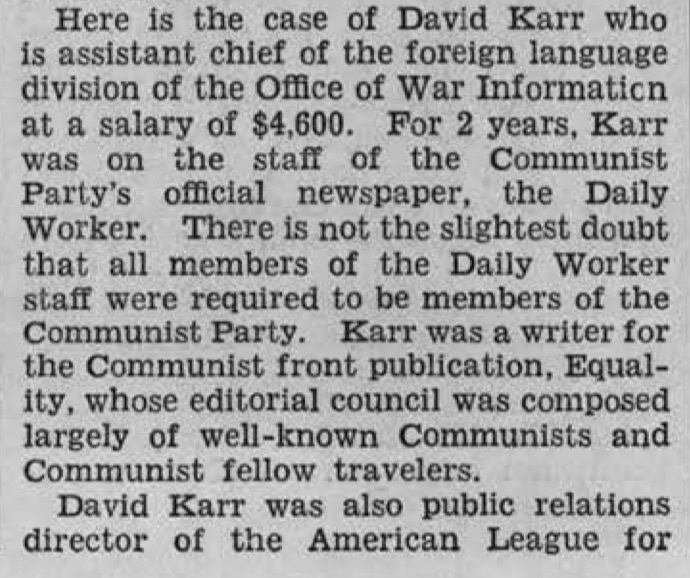 David Karr’s links with the Communist Party and his earlier work for the party newspaper, The Daily Worker, were exposed publicly on the floor of the House of Representatives by Congressman Harold Dies Jr. (D-TX), chairman of the House Special Committee on Un-American Activities, which investigated suspected communists, fascists, Ku Klux Klan members and other groups viewed as potentially subversive. Some of the accusations that came out of the committee turned out to be exaggerated and controversial, but many allegations, including those against Karr, were largely accurate. Karr denied being a member of the Communist Party, but he reportedly also made a number of false statements about himself. Some of the communists in the OWI’s radio division (Voice of America name was not yet widely used) were identified in 1943 by other members of the U.S. Congress.